President Dmitry Medvedev has expressed confidence that Russian specialists who left the country would come back home when normal conditions are created for work in the country. The so-called brain drain problem was among the topics touched upon at the Tuesday meeting of the Russian Big Government. 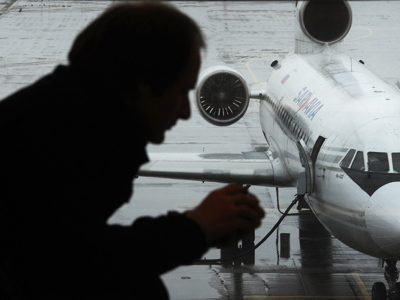 Data published at the gathering suggests over 1.25 million people have left Russia within the past decade and 37 Russian companies placed their shares only outside the country. The reason behind the problem, experts believe, is that Russian specialists and businessmen get better conditions abroad than they do in their own country. 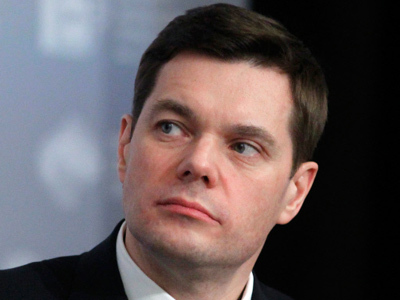 President Medvedev agreed that “we are losing the battle for a human,” cited Itar-Tass. However, the Head of State noted that he’s easier with that than the number of entrepreneurs facing criminal proceedings. According to the data submitted to the president, one in six businessmen in Russia has faced criminal charges. “I called to law enforcement agencies to find out whether it’s true or not. Because if that’s true, it’s a catastrophe,” Medvedev stressed, adding that this would undermine the belief in a healthy business climate in Russia. It is likely the majority of charges are related to tax violations, he observed. 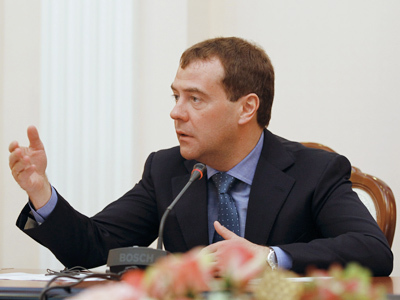 Medvedev also pointed out that about 120,000 are currently imprisoned for economic crimes. 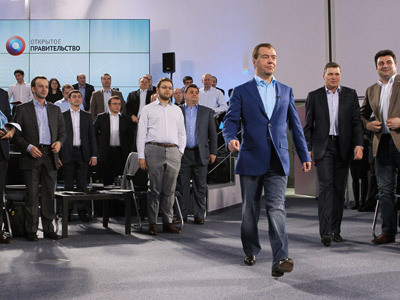 Medvedev supported the idea voiced at the Big Government session that citizens convicted on counts of fraud for the first time should receive sentences not connected with imprisonment if they repay the damages. The outgoing president also suggested setting up a special department at the Prosecutor’s Office that would advocate business rights. 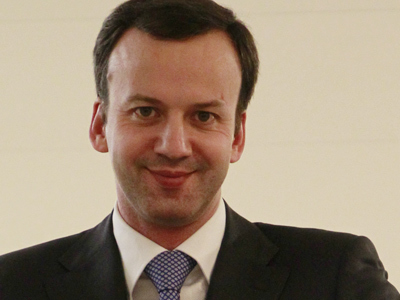 The Big Government, also known as Open, or Extended Government, is an advisory board created by Medvedev. Its goal is to provide greater cooperation between politicians and civil society.